Today, the “Certosa di Parma” is a contemporary’s temple: it hosts in fact the Studies Centre and Communication Archive of the Parma’s University. The impressive abbey of Valserena, today the CSAC’s seat, wrongly known all over the world as the “Parma’s Certosa”, from Stendhal’s roman, still maintains her poetic fascination, arising as a refine giant from the flat fields around her. Getting into the entrance of this middle age masterpiece, we strangely find ourselves in a modern location, who keeps a real treasure. 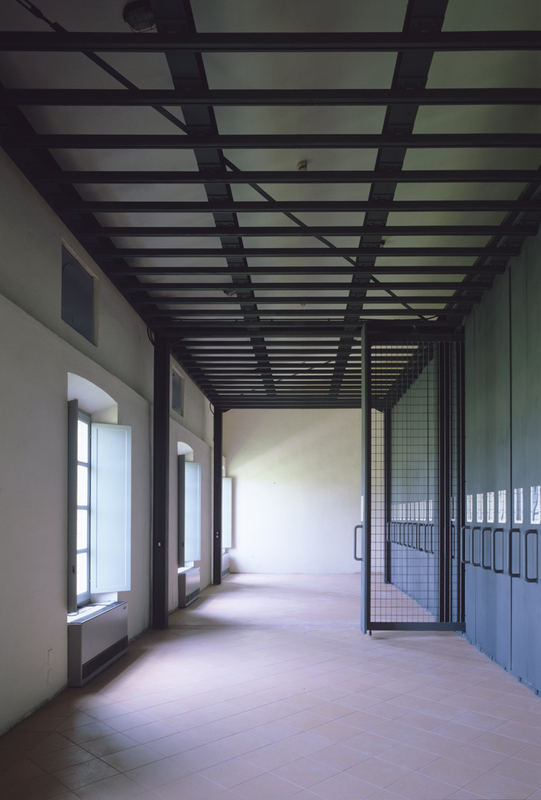 Today, the “Certosa di Parma” is a contemporary temple: it hosts in fact the Studies Centre and Communication Archive of the Parma’s University, a very active and important 21th century art archive since the 70s. It holds a rich section of architecture and design with thousands of drawings (as an impressive collection of drawings by the architect Pier Luigi Nervi), in addition to a section of photography, with more than 4 million pieces, and the fine art section, with more than 1200 paintings and 15.000 drawings. 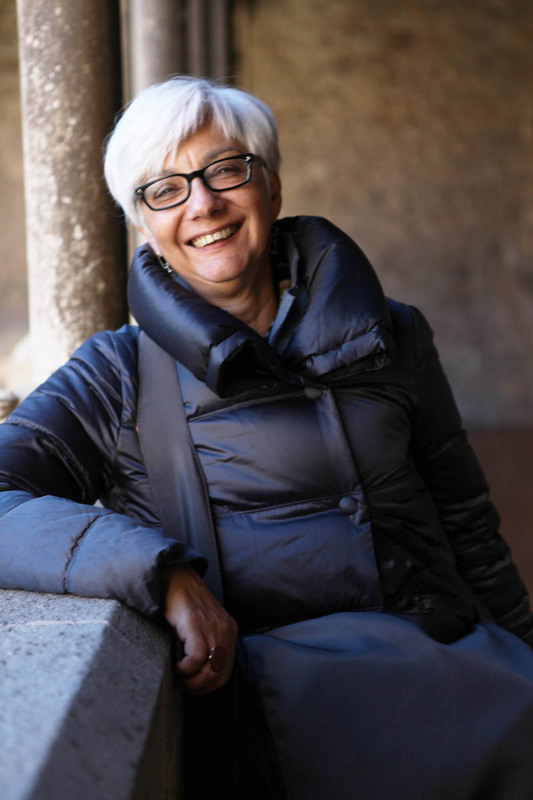 The director, the teacher and archivist Gloria Bianchino, tells us that students are the main users of this rich centre and that, by different exhibitions, organized only with CSAC’s material (when funds allow it), it’s exactly the study and research’s work to be shown. The main purpose is to lead the public thinking about the important value that research takes on also in contemporary art and then about the role still played by the archive: “The archive is the only place where all materials have an equal function. The archive is the place of research, also linked to the contemporary, is the place of memory, it never dies, it’s always a source of new information and ready for new comparisons”. Talking about the archive’s role in the contemporary age, the director is strongly sure about his importance: “Today we experience art in a trice: everything is immediately shown and consumed. The archive gives the possibility of conservation and meditation on experiences that otherwise would not be understandable”. But contemporary era impose a comparison with new technologies, a necessary face to face according to Miss Bianchino, that anyway should be limited and controlled. She tells us the, even if in the CSAC they’re providing a digitalization process (hardly feasible just for financial questions), she wouldn’t agree to a complete complete conversion of documents : “An online archive is certainly an efficient way to talk to the world, but it gives you back just a partial world. Information, catalogues must be a available online, but they have to be the mains, not the purpose”. The director also explains that, in case on digitalization, this process must be seriously supervised by a scientific team and even online there would be a limited access to the records: “I don’t want to talk in terms of censure, I just mean that it needs a scientific control”. Anyway, according to Gloria Bianchino, there are some aspects of the historic archive that will never be replaced by the online one, and she talks about the risks that could follow to a complete conversion in digital documents: “The main characteristic of an archive and his purposeful importance stands in the huge quantity of less known sources that it includes, sources that could tell us new aspects about artists and art works that otherwise would remain unknown: if we put online just a selection of this “representatives” documents, we make a choice and we drive the users to an interpretation, making an action against the archive’s essence, that is equal and neutral”. Anyway, professor Bianchino confirms us she will put online the most part material of CSAC, by a strictly controlled digitalization. She concludes with an interesting consideration on the potential possibilities that this work of valorization, not only in the CSAC, but in the numerous contemporary Italian artist’s archives, could be a good possibility of employment for a lot of young students or art historians: “Italy is known all over the world for the Coliseum, but we have a lot of contemporary Italian artists that worked in contact with the whole world, whose archives should be valorized. For young art historians it should be a job. We don’t need to create something new, it is enough to valorize what we already own, also taking advantage of the recent new awareness of the archive’s value”.